Edibles are a fun, convenient and covert way to consume cannabis, whether for recreation or medical purposes. Edibles are yummy treats infused with marijuana, that deliver the medicinal and psychoactive ingredients to your system without having to smoke anything. They can take the form of anything from brownies to borscht, with the help of infused oils like cannabutter. You can make savory cannabis foods like spaghetti, sweet treats like cookies and candies, or even drinks like cocktails and marijuana tea. If you want to get started making your own edibles at home but do not know how, don’t worry – there is a cannabis cookbook out there for you! In this list we will go over our top 10 favorite edibles cookbooks, featuring recipes for all tastes, budgets, and skill levels. You will find omnivorous and vegan treats, sweet and savory, complex recipes and some that take as little as five minutes to prepare. If you want a more in-depth look on how to make cannabutter and other cannabis oils, check out our How To Make Pot Brownies post where we cover all of the steps. Make sure to follow all local laws when growing, processing, or eating your cannabis! One of the newest ways people are enjoying cannabis is by combining it with cocktails and mocktails. This is especially popular at dinner parties in the any states where cannabis has recently become legal for recreation. But, with a strong taste and a particular method of infusion necessary, beginners may not know how best to make cannabis cocktails. 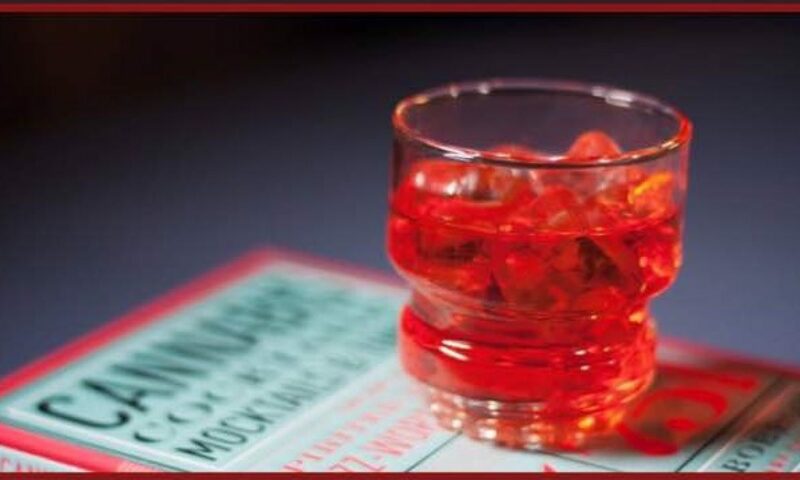 This book has a collection of 75 cannabis drink recipes by “The Cocktail Whisperer” Warren Bobrow. It also includes a full history of cannabis as a social and medicinal drug. You will find recipes not only for cocktails but for shrubs, bitters, butters, oils and even coffee, tea and milk-based drinks for the morning hours. This is a really fun book for anyone who loves drinks and cannabis. Previous PostPrevious 2017 Books And Bitters Recap!